Every summer, Moroch opens its doors to a new class of interns – students from all over the United States – who are equally as passionate about perfecting their craft as they are about impromptu pizza parties in The Den. This summer, the Moroch Family of Companies welcomed 23 exceptional interns, 16 in the Dallas office and seven in field offices throughout the country. Along with the opportunity to learn from some of the best and brightest professionals in the advertising industry at an award winning agency, students were given the opportunity to work on national accounts and learn what it truly means to Be Significant. There is no typical internship experience at Moroch. Each day is as unique and different as the people who make up this agency, including the interns. For ten weeks, interns embarked on what would become a journey of self-discovery, learning not only how to navigate agency life, but also gaining valuable skills that they will take and utilize throughout the rest of their careers. Brand Management interns, Haley Kirby from Texas Tech University and Kaylee Geiser from Texas A&M University, both said the internship has given them ample real world experience and that they’ve learned how to work with a diverse group of people who all have different learning styles. In addition to gaining valuable interpersonal skills, students also dived head first into real, meaningful agency work for nationally recognized clients. Shannon Staunton, an Account Services Intern in Milwaukee, WI and student at Marquette University, experienced this first-hand. During her internship, she supported a “Breakfast on the Farm” event where she helped educate consumers about McDonald’s relationship with local Wisconsin farmers. Other interns like Theresa Threfz, a Midas Intern from Roger Williams University, gained a strong sense of independence while living in Dallas and interning at Moroch. While every student may not come to Moroch knowing exactly what they hope to achieve post- college, they get exposure to every facet of agency life. 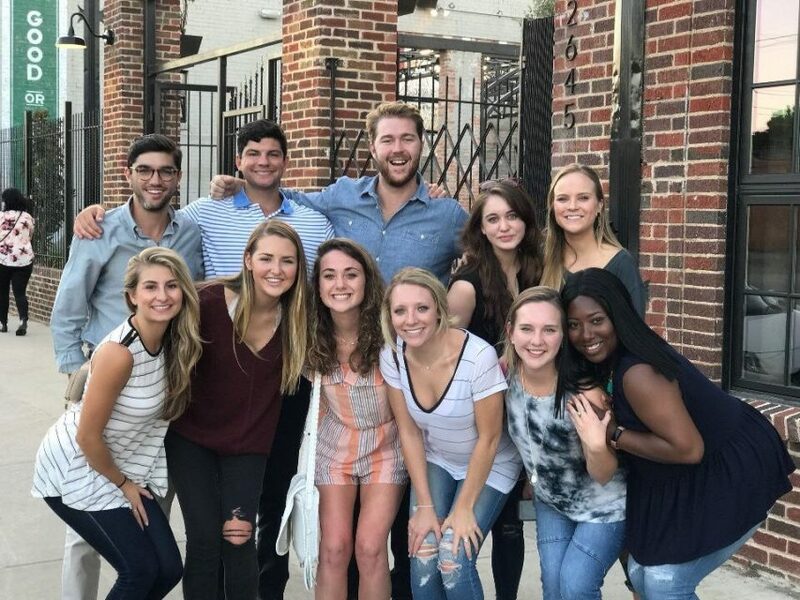 When interns aren’t working on impressive accounts like McDonald’s, Six Flags, Midas, Planet Fitness, Llano Estacado Winery, James Avery Jewelry and more, you can find them exploring everything that Dallas has to offer and documenting it on their personalized Instagram account, @morochstars. The name speaks for itself, and speaks to the electric personalities of the interns who contribute to it.